In 2017, Volkswagen remained Europe’s largest carmaker despite the best-selling VW brand loosing market share. New passenger vehicle registration data for the European Union and EFTA confirmed the Volkswagen Group as Europe’s largest car manufacturer in 2017 with the Volkswagen brand still by far Europe’s best-selling car marque. The French PSA and Renault groups increased market share with Peugeot, Citroen, Renault and Dacia brands outperforming the broader market. Mercedes Benz also gained market share at the expense of competitors BMW and Audi that both had weak sales in Europe in 2017. The Volkswagen Group easily remained Europe’s largest car manufacturer despite loosing market share for the second consecutive year in 2017. The Volkswagen Group increased sales by 2.1% but market share shrank to 23.8% in 2017 – a percentage point lower than in 2015. The two largest brands in the group – Volkswagen and Audi – both had slightly lower sales with VW alone loosing half a percentage point market share in 2017. Skoda outperformed while Seat was one of the most-improved brands in Europe in 2017. The PSA Group regained second place at the expense of Renault. PSA Group sales were up 28% but this gain is somewhat artificial as Opel sales were included since August 2017. Nonetheless, both Peugeot and Citroen improved sales above market average. In contrast, DS sales were down by 30% – no brand performed worse in Europe in 2017. Although the Renault Group sank back to third place, both Renault and Dacia brands outperformed the broader market. The FCA Group moved ahead of BMW with Fiat, Jeep and Alfa Romeo increasing sales, while Lancia / Chrysler sales were lower. Alfa Romeo was the best-performing brand in Europe in 2017. The BMW Group increased sales below market average with both BMW and Mini brands underperforming. The Daimler Group had another strong year with Mercedes Benz sales up 6% but Smart sales down 6%. The Toyota Group had a good year with Toyota branded cars increasing sales by around 80,000 cars – no other brand added more cars in 2017. GM was the worst performing carmaker in Europe in 2017 following withdrawal from the European market. Opel / Vauxhall sales were listed under the PSA group from August 2017. There were only very minor changes in the sales rank order of the best-selling car brands in Europe in 2017. In the top ten, the only rank order change was BMW moving ahead of Audi – both brands lost market share. Volkswagen remained easily the largest car brand in Europe despite loosing half a percentage market share in 2017. In 2015, VW still had a 12.2% market share in Europe. In contrast second placed Renault increased sales in Europe in 2017 by 4.5% or around 50,000 more cars. Peugeot and Mercedes Benz added similar volume with even stronger improvements in sales. Ford maintained third place despite flat sales while Opel / Vauxhall was the worst performer among the top brands with market uncertainty due to the takeover by PSA not helping. Vauxhall sales in the UK were particularly weak. Peugeot and Mercedes Benz were the most-improved brand among the top ten in Europe in 2017. BMW and Audi both underperformed and swapped rank positions. Fiat and Skoda both outperformed the general market. Just outside the top ten Toyota was the most improved top brand with sales up 13% or 80,000 cars. No other brand added similar volumes. Citroen moved ahead of Nissan and Dacia outsold Kia. 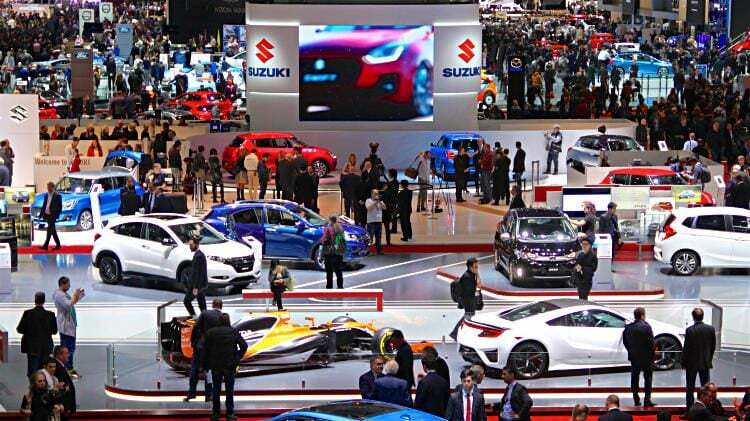 Suzuki increased sales by a fifth to move into the top 20 at the expense of Mini. Alfa Romeo was the most-improved brand in Europe with sales up by 30% while DS was the worst performer with sales down by 30%.